We are currently working on our website. Please call our office to take advantage of the sale. 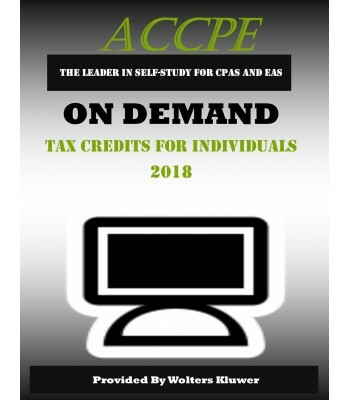 This two-credit self-study CPE Course provides you with an overview of the rules for claiming personal tax credit and highlights planning tips to help you in your practice. The focus of this course is on tax credits for individuals. Credits are more valuable than deductions because they reduce tax liability on a dollar-for-dollar basis. This course will provide an overview of the array of individual credits and the limitations that apply for each of these credits. It will also review the due diligence requirements for paid preparers. Explain the income limits for eligibility for certain personal tax credits. Identify which personal tax credits are partially or fully refundable. Discuss the due diligence requirements for tax return preparers with respect to certain refundable tax credits. 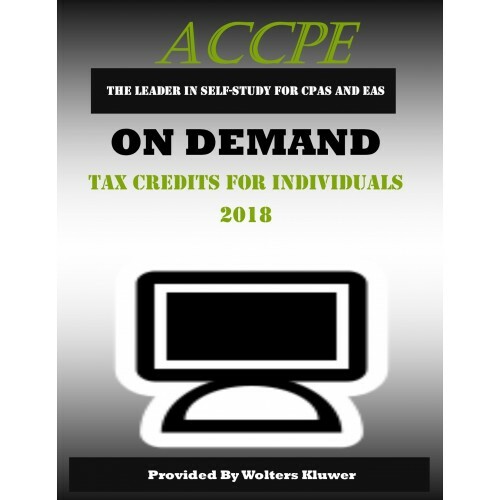 The American Center for Continuing Professional Education offers affordable self-study CPE for CPAs, enrolled agents, tax preparers and students interested in furthering their education. Our courses are available in the following formats: Textbook, PDF, and Exam Only. We also offer some On-Demand and Webinar courses. Find more information on our CPA Education blog. Connect with us on social media for information on CPE requirements, CPA news and special offers.